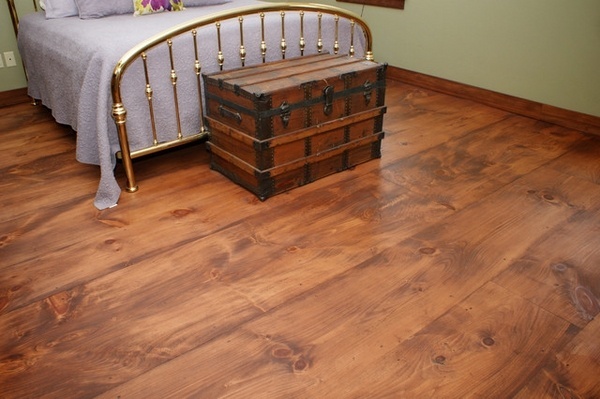 Wood flooring is preferable to laminate and linoleum and always looks spectacular. 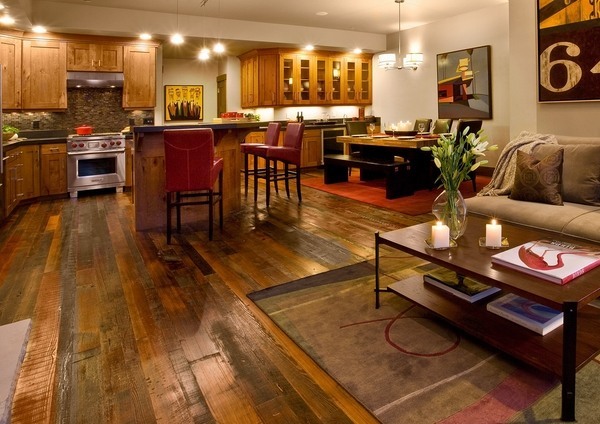 It is cozy, warm and gives an incomparable beauty to any home. 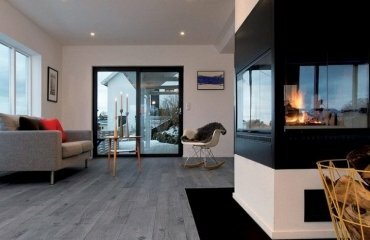 Pine flooring is an option which provides the beauty of Nature at a reasonable price which makes it a cost effective choice for many homeowners. 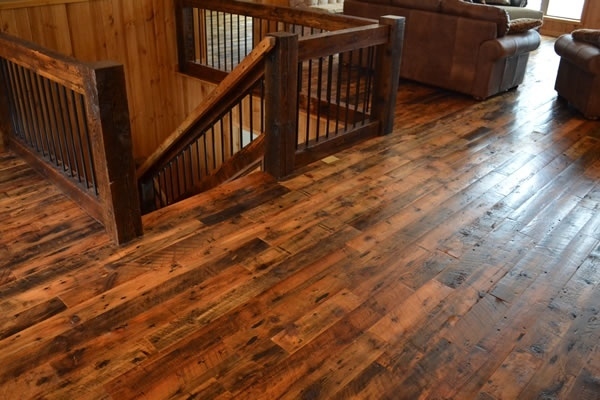 Pine wood is in the category of soft woods which means that it is considered to be more unstable, wears out faster, but still for many people it only adds to the charm of the floor. 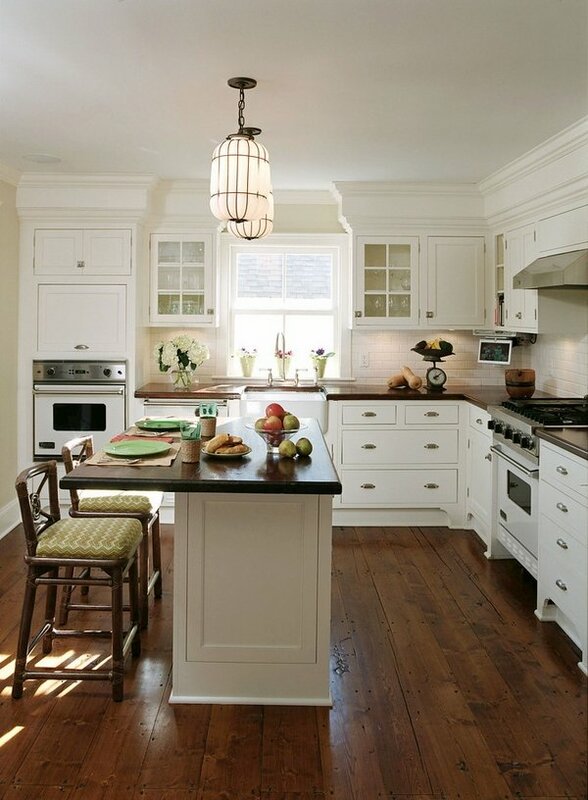 However, different species of pine have different hardness and it depends on the traffic which type you will choose. 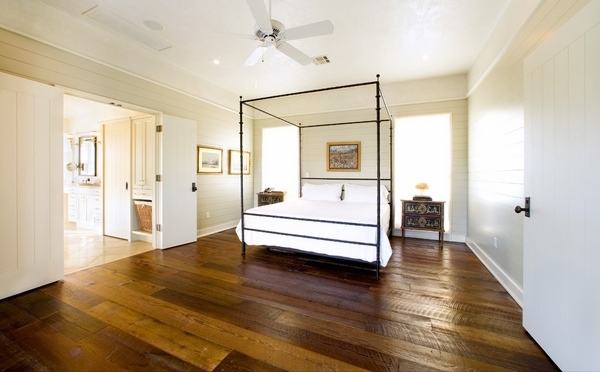 Southern yellow pine is one of the species which are suitable for rooms with high traffic. 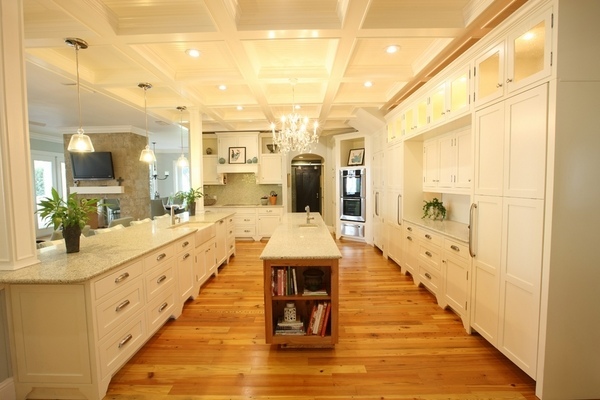 Yellow pine is usually rare to find and holds a high price tag on the market, but some experts believe that it is comparable to the hardness of oak. 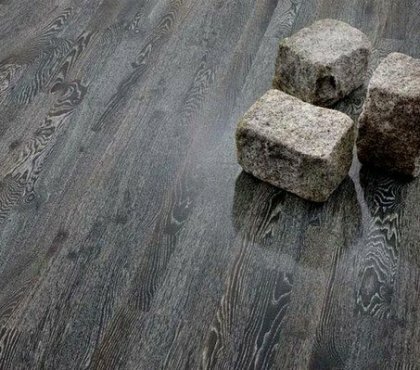 Pine wood is considered as a character wood. 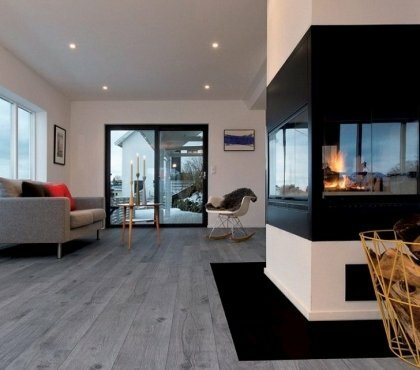 Pine flooring is very popular for the unique holes and knots of the floor boards and the characteristic look. 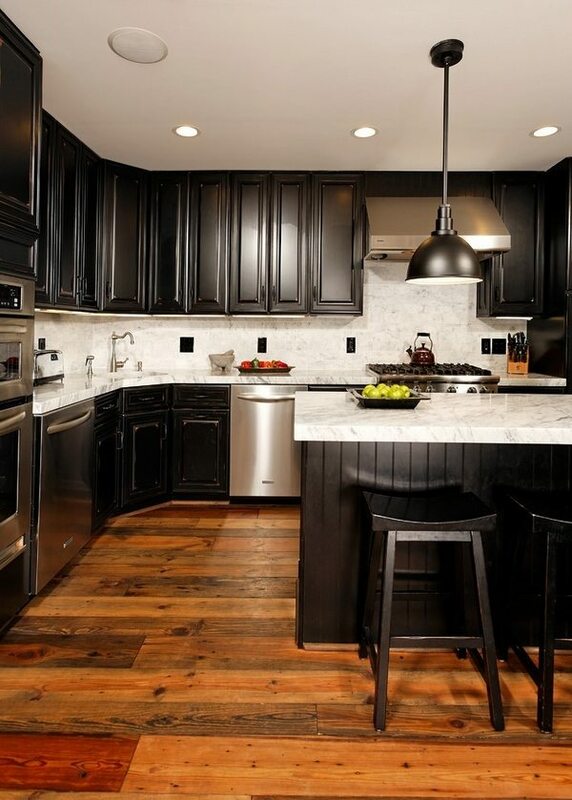 The different color shades add originality to the interior and are often seen in rustic or country style designs. 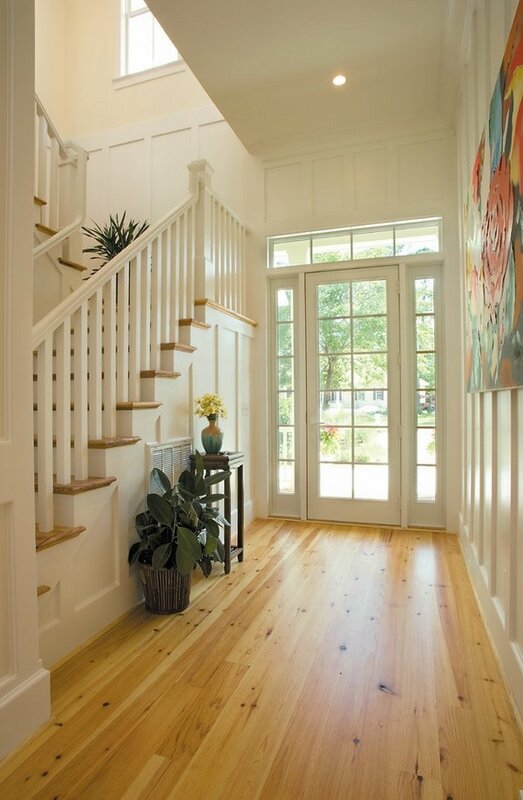 Pine floors are reminiscent of the interiors of the colonial era and are also popular for classic styled interiors. 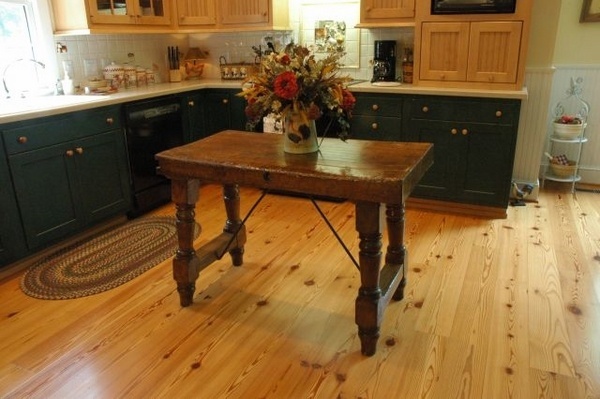 Pine wood floors are suitable for living areas, hallways, entryways and kitchens. 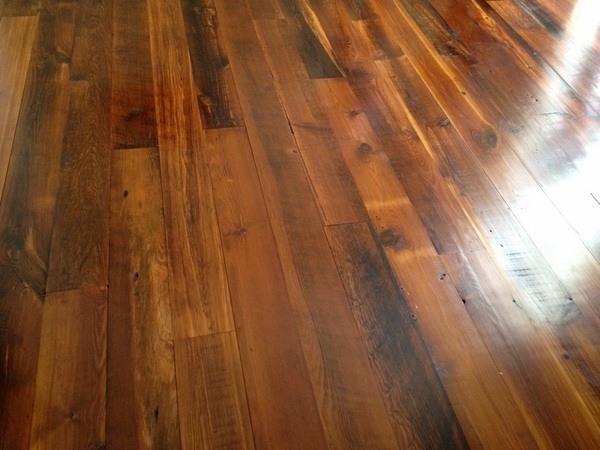 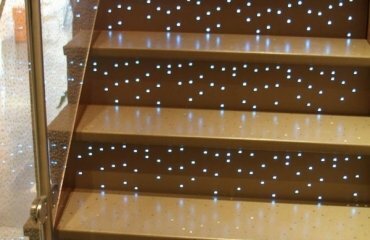 The biggest advantage of pine flooring is the relatively low price. 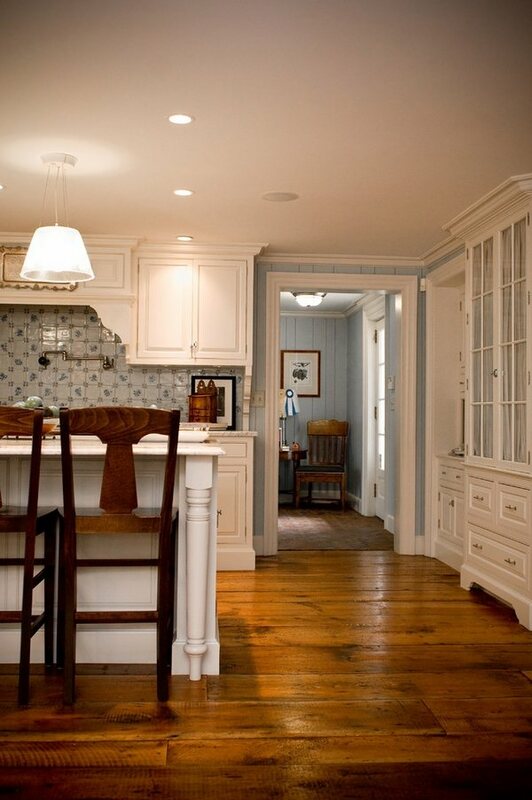 The original character and texture of the pine floor is another advantage. Lightweight should also be mentioned when we speak about the pros. 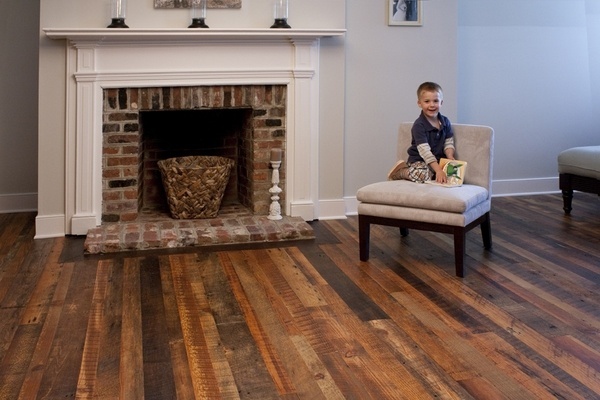 It is environmentally friendly and takes paint well which makes the wood suitable for kids room too. 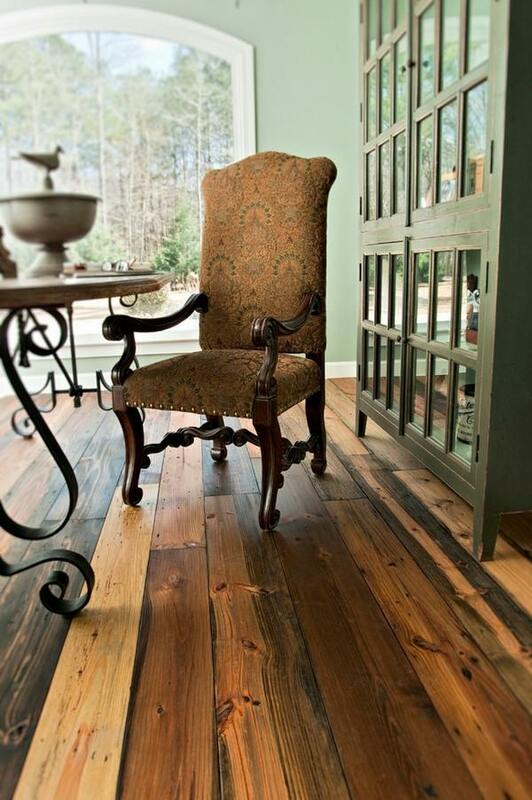 The main disadvantage of pine flooring is the softness of wood. 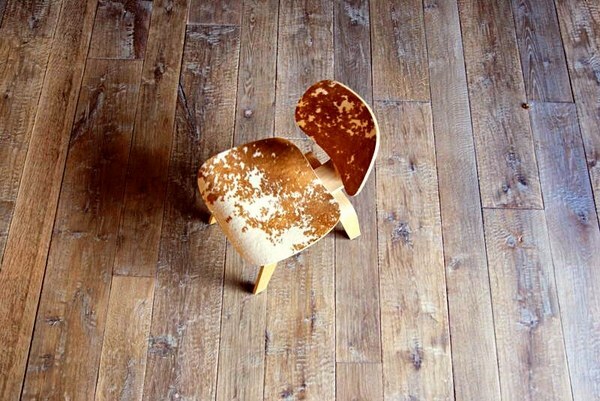 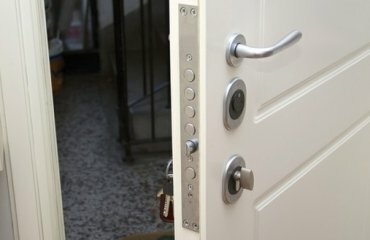 It is not resistant to scratches, dents and is easily damaged.